Streaming services proliferate the music market these days, making CDs seem very much a thing of the past. One of the more popular options available to customers is Spotify, which sometimes seems to have pretty much taken over. The company would like to keep expanding its global footprint and is taking another step towards that. Now the company is launching its latest destination, Japan. Spotify announces that at the moment it is invitation-only however, it will be available across major platforms including mobile, tablet, desktop and PlayStation. "We’re incredibly excited to launch Spotify with a uniquely Japanese music experience", says Spotify’s CEO and Founder, Daniel Ek. "With Spotify’s revolutionary discovery and personalization features that fit your every mood, we aim to help people enjoy more music and connect more artists with fans than ever before". 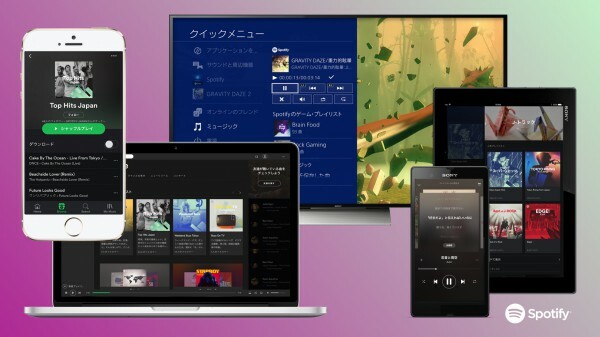 The Japanese launch features a comprehensive catalogue of local artists, as well as international musicians, Discover Weekly -- a playlist based on your listening habits -- curated playlists produced by a Tokyo-based team, the ability to use the Spotify app as a remote to control Wi-Fi speakers, and song lyrics support for desktops. To get this launch off the ground, Spotify says "To lead the Japan team, Ichiro Tamaki, formerly Vice President of Amazon Devices and Kindle Content, Japan will join as Spotify’s General Manager, Japan. Ichiro will be based in Tokyo and lead the day-to-day running of Spotify Japan, effective as of October 1st".